Ever since I started working as a Nutritional Therapist, I was staggered by the number of people, both young and old, who suffered from gastrointestinal issues. Digestive complaints are amongst the most common reasons for individuals seeking medical help. There are more than 200 over-the-counter remedies for digestive disorders, many of which create additional digestive problems in their place. Once we have a compromised digestive system, it can play out over our entire bodies, leading to allergies, arthritis, autoimmune conditions, acne, chronic fatigue, poor mood, intolerances, pain and more. Having a healthy gut is absolutely central to our entire health. Helping clients with chronic health issues always starts with fixing their gut. Our digestive system is responsible for breaking down and absorbing all the food we eat, and then subsequently delivering nutrients to your body’s cells. Over a lifetime, the average person ingests more than 25 tons of food; however, as well as providing nutrients, this food may also contain damaging bacteria, viruses, and toxins. The gut wall – or mucosal layer – has the unique role of absorbing health-promoting nutrients and molecules, while also providing protection to the body by preventing the entry of toxins or pathogens into the blood stream. It is important to remember that digestion starts in the mouth. We need saliva and the enzymes it contains to help break down proteins, fat and carbohydrates. Chewing the food properly is key to kick-start the digestion process correctly. If we wolf down our food we might end up with digestive complains such as bloating. In the stomach, the food mixes with more enzymes and hydrochloric acid (HCL). Sometimes clients are convinced that some of their digestive issues are related to having too much stomach acid, however a small test often reveals that the opposite is the case. Many people suffer from low amounts of HCL, often caused by poor diet, stress, alcohol, some medication, age, illness, poor sleep and more. Adequate HCL is necessary to break down proteins, activate digestive enzymes, protect us from pathogens and foreign organisms, and help us to absorb the nutrients in the food. If food has not been broken down properly by now, on its way to the small intestine the food molecules can start to ferment or irritate the lining of the gut wall. They can also result in an overgrowth of bacteria, which can lead to bloating, abdominal pain and/or diarrhoea. We have trillions of bacteria living inside us, and we have quite a ‘symbiotic’ relationship with them – we actually depend on each other. The good bacteria, often called probiotic, or beneficial bacteria need a place to live, eat and reproduce, and in turn their metabolic activity supports our own health in multiple ways. In fact, we literally could not live without them. It’s about getting the balance right, support the ‘good’ bacteria and keep the ‘bad’ bacteria out. Beneficial bacteria in the gut act as the housekeepers for the digestive tract. They coat the entire surface of the gut, providing another layer of protection from invaders and toxins by providing a natural barrier, and producing a lot of anti-bacterial, anti-viral and anti-fungal substances. Did you know that approximately 75% of our immune system is located in the gut? One more reason to look after our gut health. Our immune system is our first line of defence. It is constantly bombarded with foods, toxins, microbes, and partly undigested food, that might cause irritation, an allergic reaction, and poor immunity, all ofwhich results in poor health. Many factors can damage the beneficial gut flora and knock out digestive system out of balance, among them stress, lack of nutrients, poor diet, chronic inflammation, and many over the counter medications. Fortunately, some simple dietary and lifestyle changes can restore balance and digestive health. 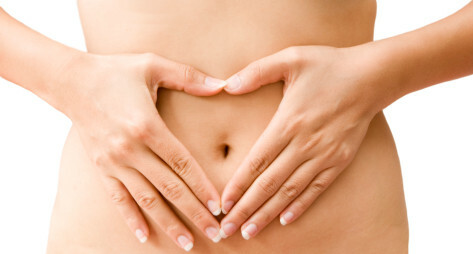 If you are suffering from digestive issues, such as chronic diarrhoea, constipation, bloating, reflux, cramps, abdominal pain, gas, IBS and Autoimmune Disease, please give me a call or meet me for a free 15 minute mini-consultation to discuss your health issues and learn what Nutritional Therapy has to offer. By applying the patient-centered approach used in Functional Medicine I seek to identify and address the root cause of ill health. After a thorough case history taking and possibly functional testing I can show you what has been causing your symptoms and create a tailored programme to restore your health and wellbeing.